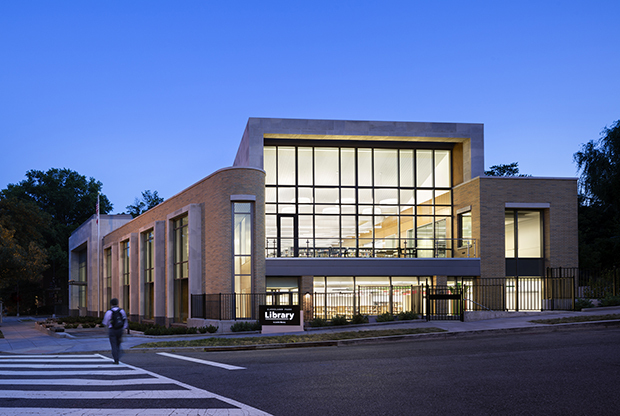 Cleveland Park Library annually ranks in the top three heaviest trafficked and circulating libraries in the district. 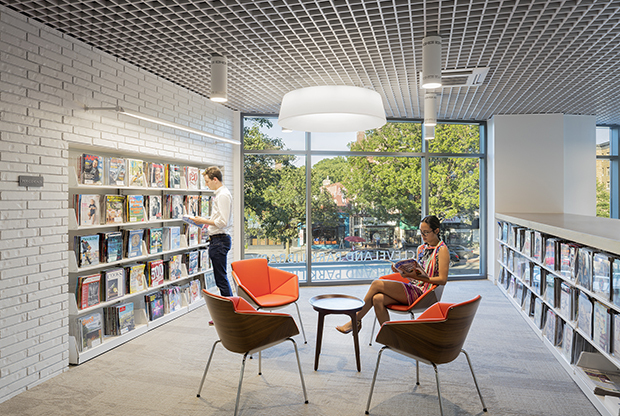 The modest 18,000 sf building no longer met the needs of the community. 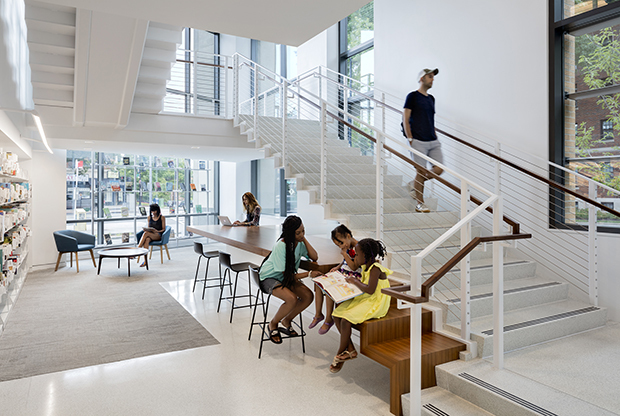 The heavy usage of the site and a desire for more significant meeting spaces for the community are primary drivers for the design. 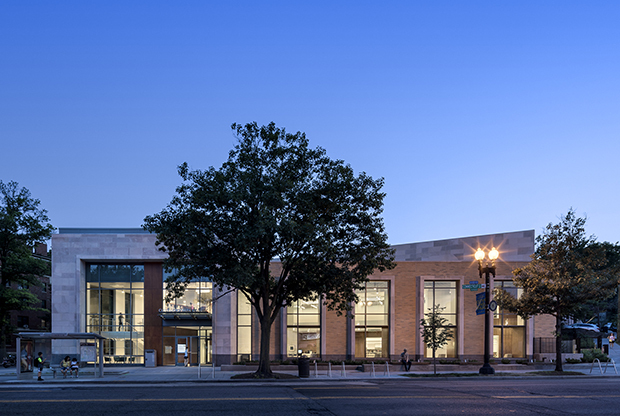 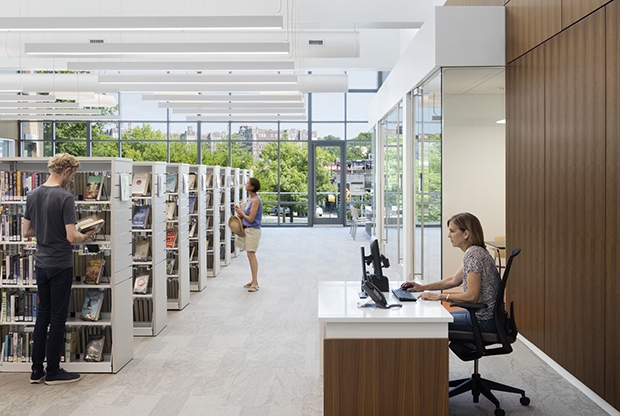 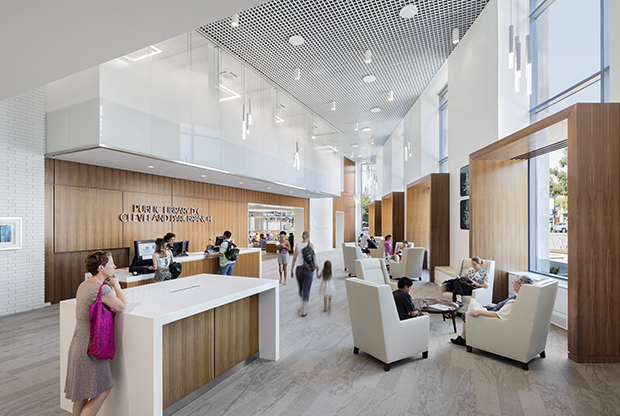 Working with the District of Columbia Public Library, Perkins Eastman DC replaced the existing library with a new 28,850 sf building that is designed to achieve a minimum of LEED Gold certification. 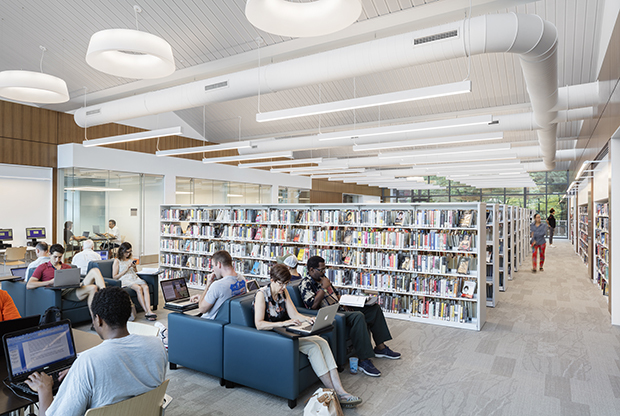 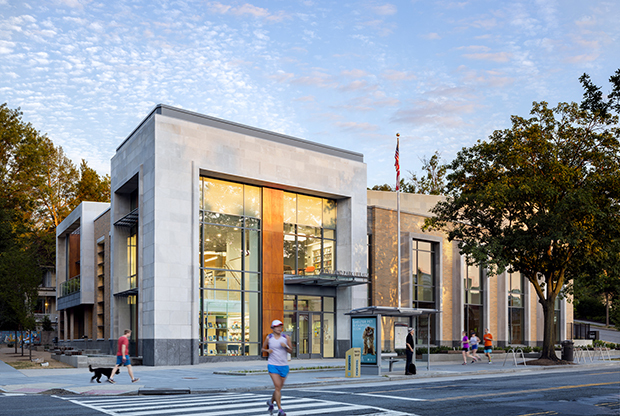 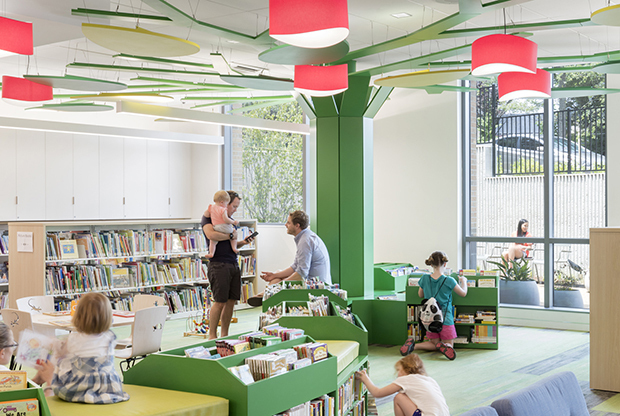 "The new Cleveland Park Library is at once bold and iconic yet deeply respectful of the neighborhood’s historic architecture, the flexible design, natural light, and inspiring spaces will ensure its relevance for generations to come." 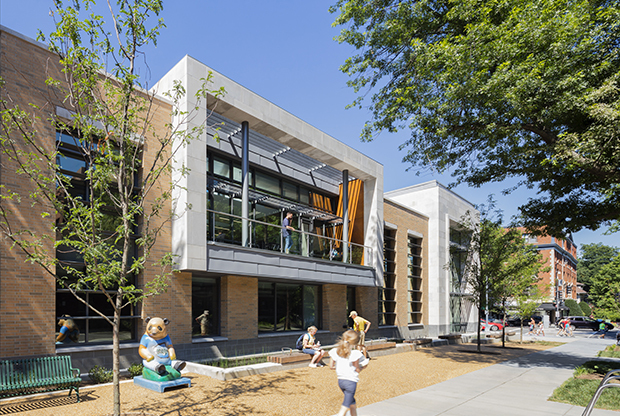 A limestone tower marks the building’s entry as well as a civic gateway at the southern edge of the neighborhood.